“What a fantastic evening!” That’s what I keep hearing from people. And yes, that’s what it was for me. An evening filled with unexpected triumphs! 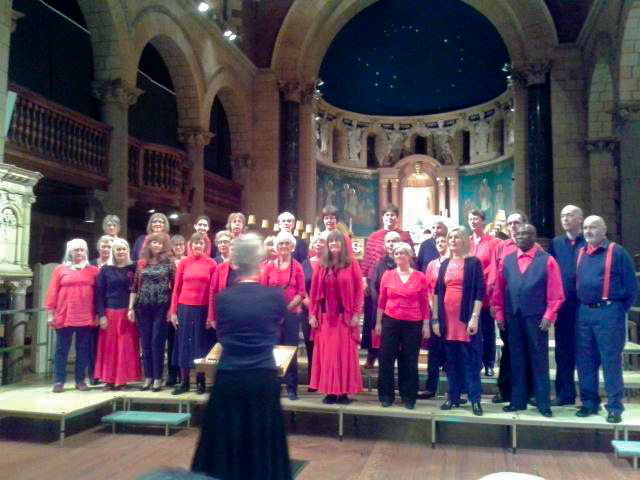 Together with just under half of Global Harmony Choir, I ventured forth to St James the Greater in Leicester for “Sing for Hope” a Community Choir Challenge in aid of local charity Hope Against Cancer. Nobody quite knew what to expect, this is not something we have done before and as an extra to our scheduled performances we hoped we could put on an appropriate show. With the show’s 500 seats sold out, the venue of St. James the Greater Church was one of the most resounding spaces we’ve been to. 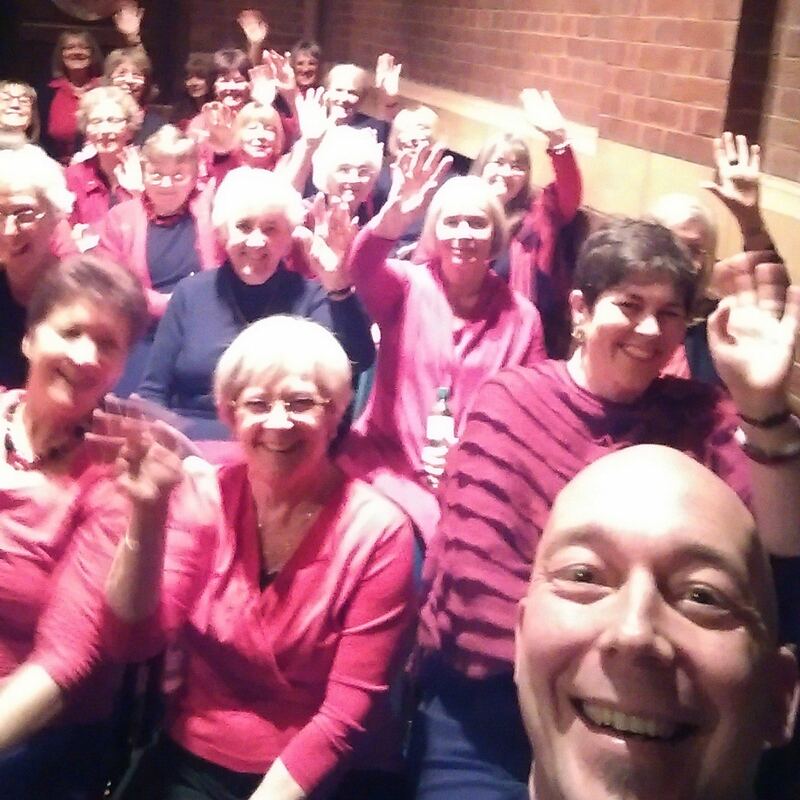 As you may know we are an a cappella community choir that aims to truly sing from the heart and as such we don’t use sheet music in practice or performance. Perhaps we learn by trying to ‘becoming the sound’ after repetitively ‘sharing’ the parts, (see Natural Voice Network http://www.naturalvoice.net/ for more info) as they say “celebrating the voice you were born with, rather than trying to train it to an ideal of perfection”. And so faced with fellow choirs with sheet music in hand I wondered if we were a tad out-of-place. The word ‘choral’ was being repeated… is that us? Any fears we may have had were unfounded. 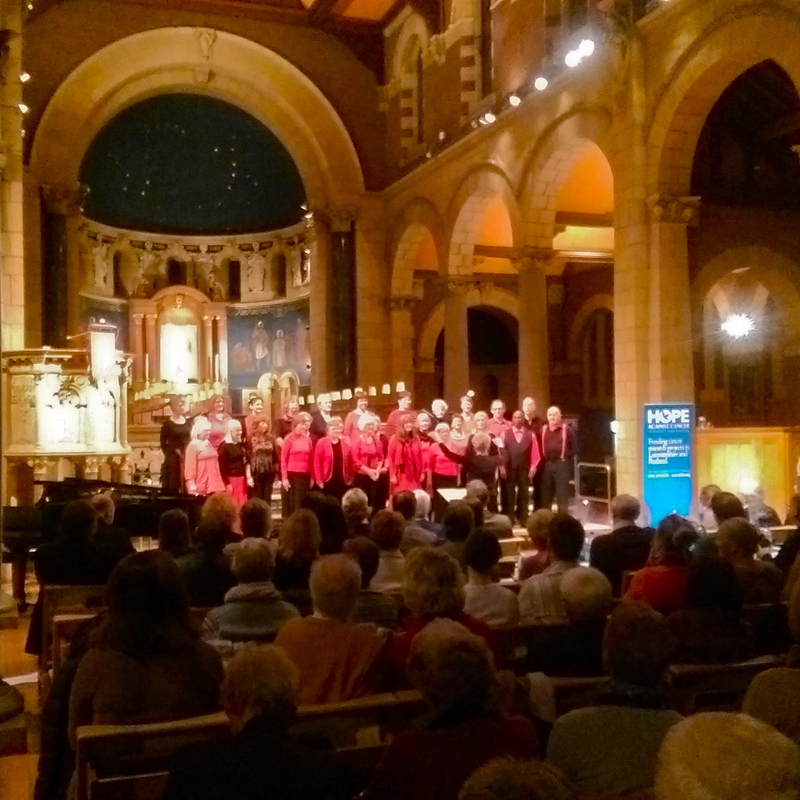 The evening was filled with diversity and variety – perhaps that’s what community choirs are about; a conduit where people from all backgrounds, choirs and stages of life can join together in a common practice. Yes, it was a challenge and not without worry, anxiety and apprehension as people said “what about this”, “what about that”, “I'm worried about this…” a microcosm of life captured in an evening. We’d practiced, we’d performed these songs before, we knew we could sing our three songs but apprehension filled the air; unknown elements, unfamiliar surroundings, seven other highly competent choirs; 200 singers and 500 spectators, and not to mention the gaze of 4 professional judges. The other choirs put on fantastic performances from an octet to a full-bodied stage, we experienced minutiae and superlative with songs from the jolly and joyful to the cuttingly personal. Who knows how or why but all I can say is after our performance I ‘felt’ we’d done our utmost best. Yes, it’s a personal reaction but after six years and many different enjoyable performances I have to say I have never been more proud of the choir I sing with, we did our thing, in the only way we know how. Perhaps some of the professionalism and je ne sais quois from the evening infected us, but I felt that the choir responded to our MD Liz beautifully. She helped our sounds dance with her embracing metering influence. As I say, I’ve never been more proud. Choirs: simple complex things! A few words about the winners: Kibworth Ladies Choir performed superbly. From a beautiful “Carol of the Bells” to a hyper-personal anxious “Creep”, their sound came out as one voice from a choir of about thirty people. A homogeneous single sound from multi-parted complex arrangements. The conductor did so much more than conduct. It seemed her voice came out of the choir! I would look our for concerts by these ladies in the future! And thanks Helen Alloway! …as judge said Ken Burton said ‘genius’!